At this 27 year marker of 2016, I hope to summarize each year as I recall it, from a handful of rosters, photographs and mostly memories. The Girls Program gets the short shift with this history challenge. Wiz Applegate who oversaw the Girls Program loosely aligned with the Boys circa 2003. I do not have the same kind of records for the girls as I do for the boys, until 2011 --- and even then they are not the best. If my memory needs correcting, do not hesitate to get in touch with me. It has been a beautiful and exhausting twenty-six years! This was a particularly athletic team of boys, many who went on to play at the college level. Players included: Scott Elliott, Jay Sagar, Mark Kurtz, Beau Eyster, Jamie Jennie, Matt Pacinelli, Mike Lassman, Brady Nemeth, Hamilton Pollard, Ted Annos, John Wilkinson, Drew Searl, Chris Rowland, Geordie Reynolds, Jeff Jordan, Mike Spiker, Jamie Lassman and David Foote. We lost Sean O’Sullivan to his UD team but we found a capable coach in Brian Messinger to coach a team of 7/8th graders this year. 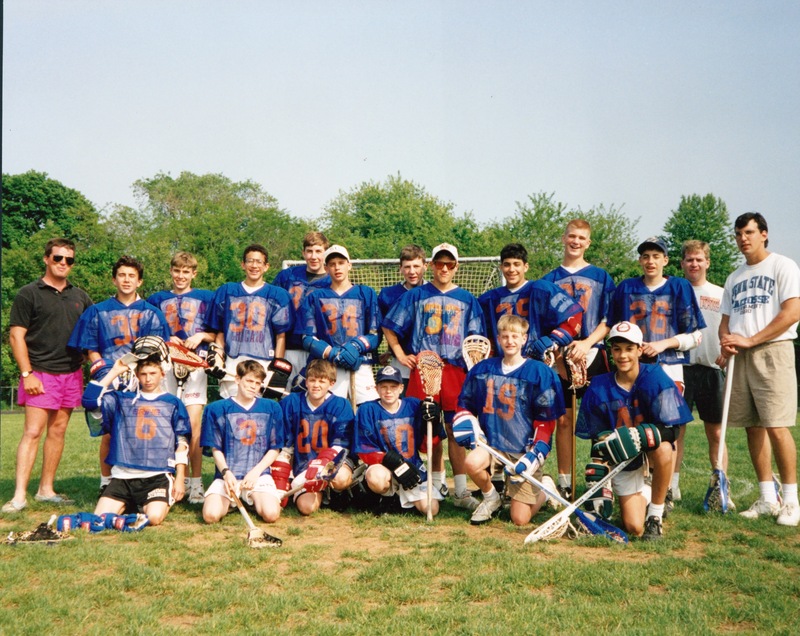 The boys had many successes against Unionville and Upland, including a great game with the Lower Merion Ashbee team, coached by cigar smoking, Norm Treinish and Peter Samson. (Peter started the Radnor program the following year and has been a good friend of Wilmington Lax ever since.) Radnor continues to be one of our biggest rivals. Unfortunately, during this particular game, Chris Newlin’s arm was badly broken. Drew Searl’s dad, a medic during Vietnam, rushed to Chris who was going into shock, while an ambulance was called --- Chris recovered and went on to play for his very strong Tatnall HS team the following year. 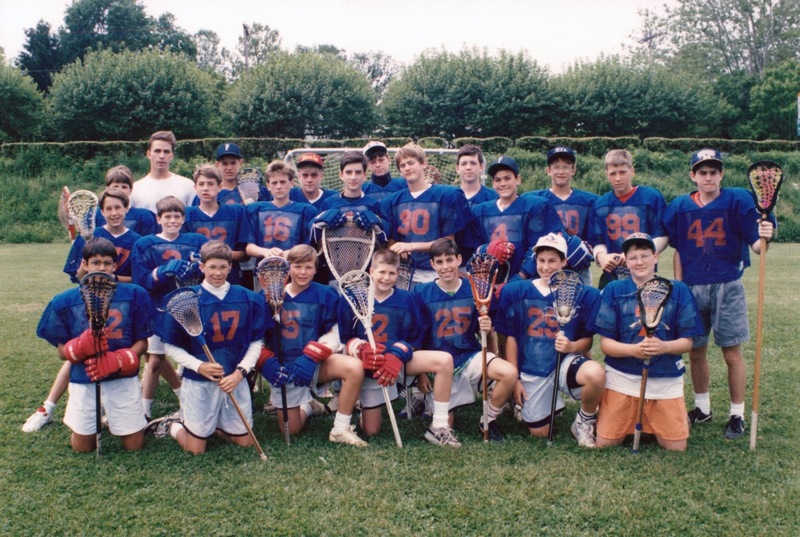 Players on this team included: Chris Rowland, Chris Newlin, Ed Swiatek, Mike Spiker, Drew Searl, Geoff Trench, John Wilkinson, Jeff Jordan, David Fotte, Ted Annos, Hamilton Pollard, Kiatii Harmon, Drew Pacinelli and Jamie Lassman. There were a number of players from these first two years who went on to play in college: Scott Elliott/Amherst, Chris Rowland/Dartmouth, Drew Searl/Syracuse, John Wilkinson/Cornell, David Foote/Roanoke, Ed Swiatek/Western Maryland, Hamilton Pollard/Penn State and Jeff Trench/Shanandoah College. Westover Lacrosse contined to grow. Paul Kutyfaris, a recent Penn State grad, coached the 7/8th grade team. Players on this 7/8th grade team included Jay Spilecki, Peter Pacinelli, Michael Lamb, Rob Panzer, Pliney Reynalds, and Clay Hill. 5th Grade Team coached by Tom Preston and Rick Cobb. 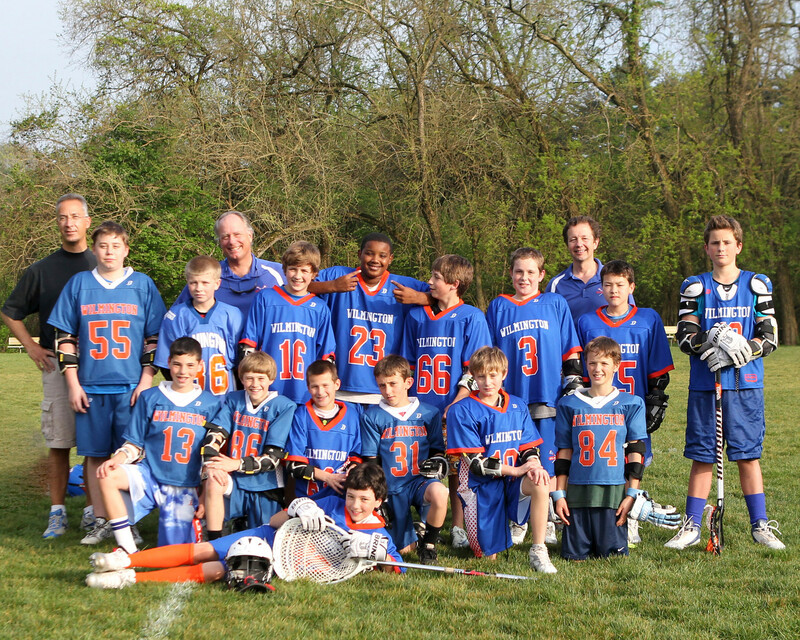 Westover Lacrosse grew to three teams: 7/8th, 5th and a 6th grade teams. Paul Kutyfaris continued as coach of the 7/8th squad that included Jay Spilecki, Peter Pacinelli, Pliney Reynolds, Josh Kline, Brad Engle and Rob Panzer. Mark Seifert and Brooks Blanchard coached the 6th graders that included Tony Coleman, Matt Titone and Rob Howard. Mark disappeared for a number of years but then jumped in to coach in 2013, when his son played on a Wings 7/8th team. Tom Preston recruited a young attorney in his firm, Rick Cobb, to assist him with the 5th grade team. The 5th grade team proved to be another strong group of athletes: David Preston, Matt Fink, Johnno Wigton, Matt Weiler, Drew Yetter, and Jeff Kline. Rick continued to coach for over twenty seasons, retiring in 2012, and then returning in 2013 to run a Kindergarten Clinic, when his son was old enough to play. Mark Seiffert coached the 6th graders this year. Among the players were Tony Coleman, Alec Johnson and Matt Titone. Mark Seuffert, Charlie Chatterton and Bill Hardy coached the 7/8th grade team. 1994 saw a couple of changes. 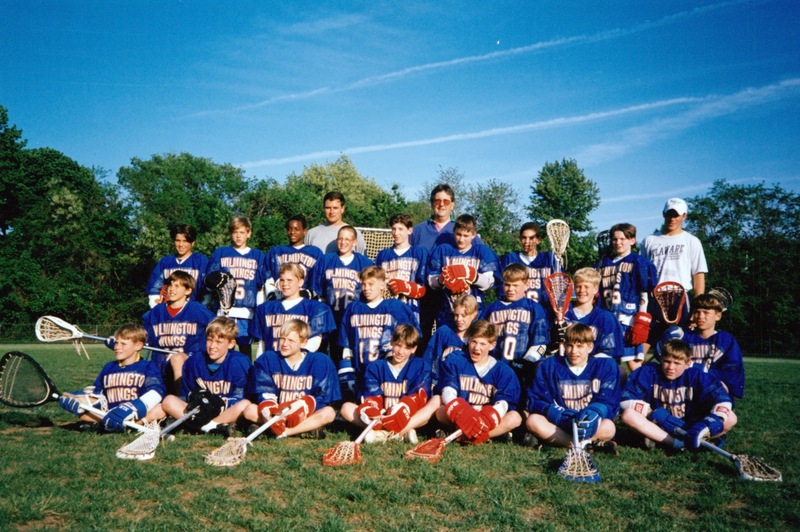 First the name: Westover Lacrosse became the Wilmington Lacrosse Association. Second: a Hotline was set up --- referred to as the LAXLINE. This allowed M.J. and I to record practice and game updates. No matter how much we urged families to always listen to the LAXLINE, at least one family would inevitably travel to the wrong field or to a cancelled game! 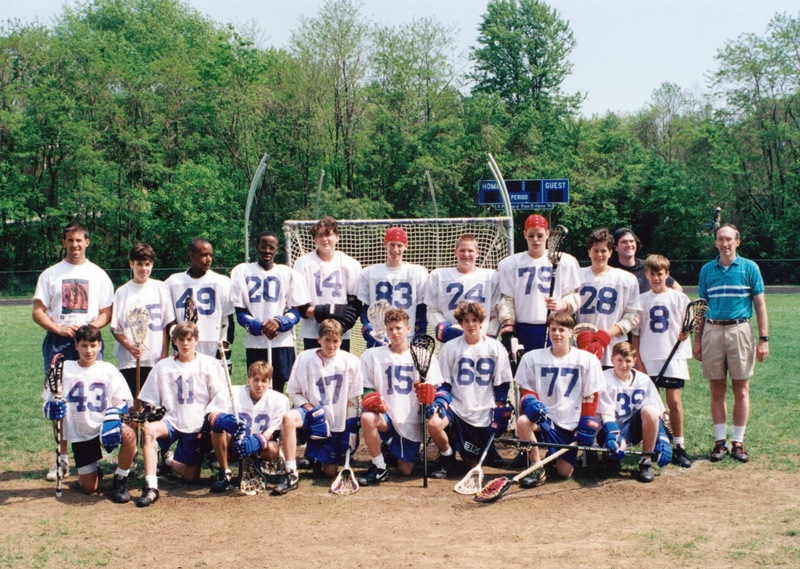 Teams played in the Delaware Youth Lacrosse Association and the South Eastern Penna Youth Lacrosse Association (SEPYLA). Mark Seifert, Charlie Chatterton and Bill Hardy coached the 7/8th Grade team. Bill continues to be involved with the Delaware Lacrosse Foundation, even though he lives in Baltimore. He will always be a friend of Wilmington Lax! Players on this team included Brian Mason, Peter Pacinelli, Tony Coleman, and Matt Titone. Tom Preston, Rick Cobb and Skip Metz coached the 5/6th grade team. Skip continued to coach with Rick until he stepped back in 2012 --- returning in 2014 to coach his young son. 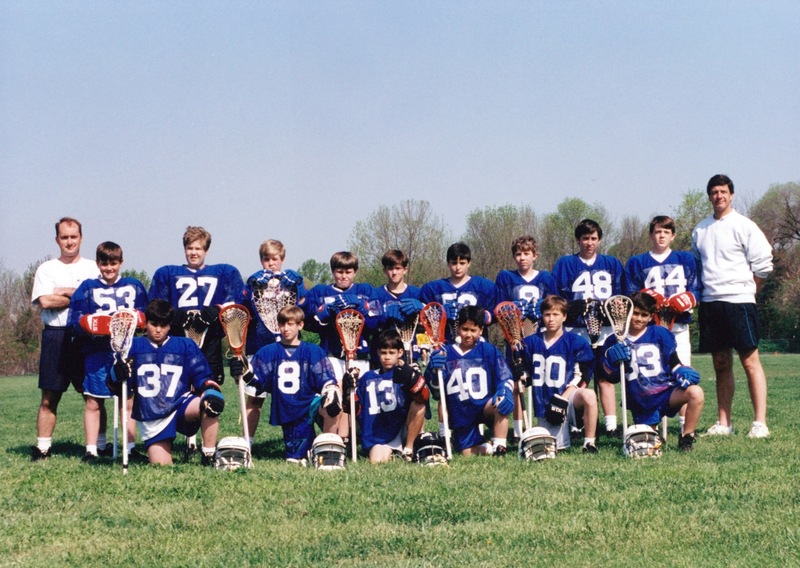 This strong team included Will Buckley, Matt Fink, Robby Howard, Justin Mason, David Preston, Jeff Kline, Johnno Wigton, Mike Evers and Drew Yetter. Jamie Mosberg, Steve Spence and Alum David Foote coached the 5/6th graders. Uniforms were upgraded with a new style in 1995, as the program continued to grow. These teams played Delaware and Pennsylvania teams: Haven, Caesar Rodney, Upland, Unionville, Lionville, Cape, Brandywine, Newark, Radnor, Conestoga, Lower Merion, Springfield and Middletown. 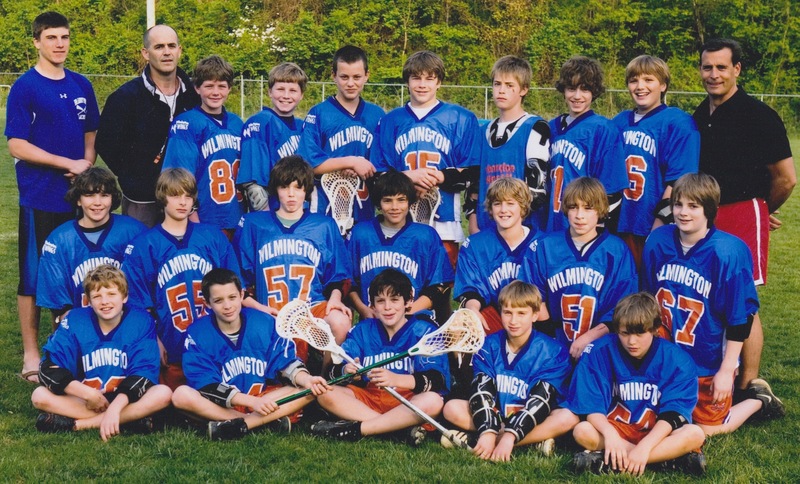 Tom Preston, Bill Hardy, John Wigton and Rick Cobb coached a strong 7/8th grade team that included Will Buckley, Mike Evers, Blaise Fletcher, Rick Kingery, Jeff Kline, David Preston, Matt Titone, Andrew Spilecki, Joey Valdrini, Drew Yetter, and Johnno Wigton. The 4/5/6th Graders were coached by Jamie Mosberg, and Steve Spence. This was another strong team that included Chris Boehl, Jay Charles, Luke Hamilton, Lami Harmon, Ryan Farrell, Cam and Robbie Howard, Jason and Josh Mosberg, Matt Pincus, 'G' Esposito, Dean Register, Stephen Selsor, Hayden Stewart, Stephen Spence, and Justin Mason. *Todd Danner was also selected for the First Team All-State. Although Todd did not play with WLA, he put a coaches hat on when his son started playing fifteen years later. 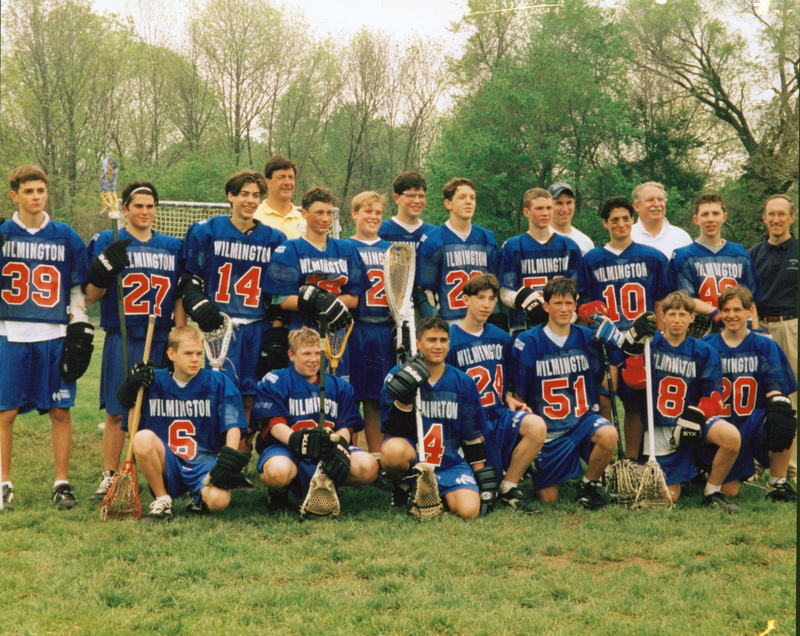 Wilmington Lacrosse grew to four teams in 1996. Irene Annos and Lea Vidlak volunteered to help Mary Jane and me with the growing admin duties. Meghan Cobb was born and Mary Jane, Irene, Lea and I would push Baby Meg around the track at Friends School while her dad coached. Our mantra was anything for the coaches! Tom Preston, Bill Hardy and John Wigton coached a very strong 8th grade team this year, that included Drew Yetter, Will Buckley, Matt Fink, Blaise Fletcher, Tim Hidell, Rob Howard, Jeff Kline, Justin Mason, David Preston, Andrew Spilecki and Matt Weiler. Rick Cobb and Skip Metz coached the 7th grade team that included Cary Mellor and Jason Mosberg. Jamie Mosberg coached a strong 6th grade team that included Chris Boehl, Jay Charles, Luke Hamilton, Lami Harmon, Ryan Farrell, Cam Howard, Josh Mosberg, Matt Pincus, 'G' Esposito, Dean Register, Stephen Selsor, Hayden Stewart, Drew Osberg and Anthony Hidell. Bill Madison and Fred Michels coached the 4/5th graders. Kyle Mellor, Ryan Michels, Peter and Jon Livadas, Nick Hidell, Brendan Hazzard, Will Spilecki and Henry Gallagher rounded out a solid group of beginning players. In mid-December of 1996, Jay Spilecki, who played with the Wings in 1993 and 94, was killed in an auto accident. Jay was a senior at Brandywine High. He loved lacrosse and hoped to play in college. 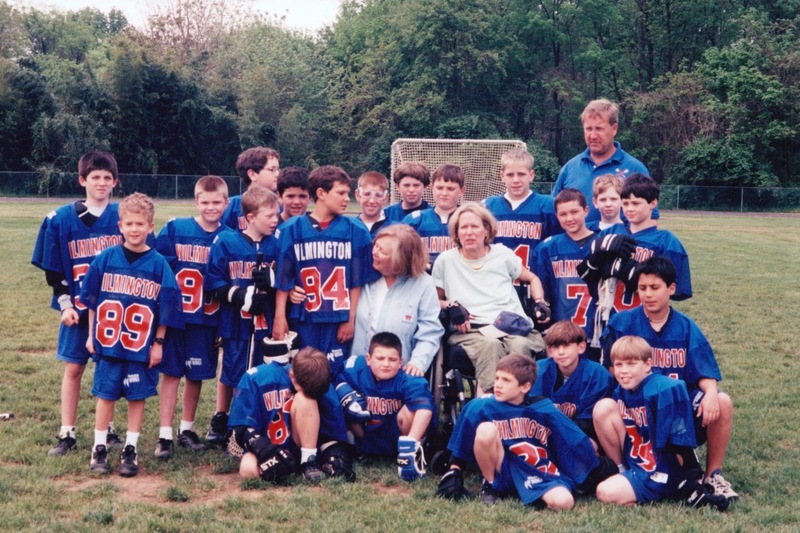 Jay’s death rocked our little lacrosse program to the core. No records for High School Honorees. The 7/8th Grade Orange Squad, coached by Rick Cobb and Skip Metz. Five teams and still growing! Rick Cobb and Skip Metz took the helm of the top 7/8th Orange Squad in 1997, that included Rob Howard, Lami Harmon, Cary Mellor, Justin Mason, and Jason Mosberg. Bill Hardy coached the 7th Grade Blue Squad that included Chris Boehl, ‘G’ Esposito and Brad Weingarten. The 5/6th graders were split creating two teams. Jamie Mosberg and Fred Michels coached the Y-Wings and John Avondolio and Bill Madison coached the Y-Wings. Players included Jay Charles, Jake DuPont, Nick Hidell, Luke Hamilton, Cam Howard, Peter Livadas, Josh Mosberg, Drew Osberg, Matt Pincus, Stephen Selsor, Hayden Stewart, Will Spilecki, Kyle Mellor, Jon Livadas, Henry Gallagher, John Cattie, Maverick Nolen and Brendan Hazzard. Tom Woods, John Nagowski and Steve Mockbee directed the first 3/4th grade program. Kendra Burawski was among these players. She played in goal and continued to play with Wilmington through the 8th grade, when she went on to a successful four years in goal for the St. Mark’s girls lacrosse team. Along with Kendra, Sam Titone, Teddy Mockbee, Ben Klein and Sean Woods played. Mary Jane and I hang out with the 4th graders. Rick and Skip continued to coach the 7/8th graders. Nathan Weidwald was a new and valuable addition to the 7/8 coaching staff in 1999. Wilmington Lax was feeling growing pains, with not quite enough players for two 7/8 teams and too many for one. Jake duPont, Henry Gallagher, Anton and Nick Hidell, Peter Livadas, Kyle Mellor, Ryan Michels, Drew Osberg, Brad Weingartner, Rob Towe, Chris Thompson, Mike Evers, Dan Mita and James Wang all were among the 7/8th graders who played this year. John Avondolio, Lexi Gahagan and Billy Michels coached a strong group of 6th graders that included ‘T’ Ferry, Jake Fratella, Will Gahagan, Brenden Hazzard, Nick Jacobs, Ben Klein, Will Carey, Jon Livadas, Sam Titone, Pete Towe and Peter Williams. The 5/6th team was coached by Stu Tierney and John Nagowski. Stu and John were in college when they began to coach. As of 2015, Stu is still coaching --- and has taken his teams to several SEPYLA championships. 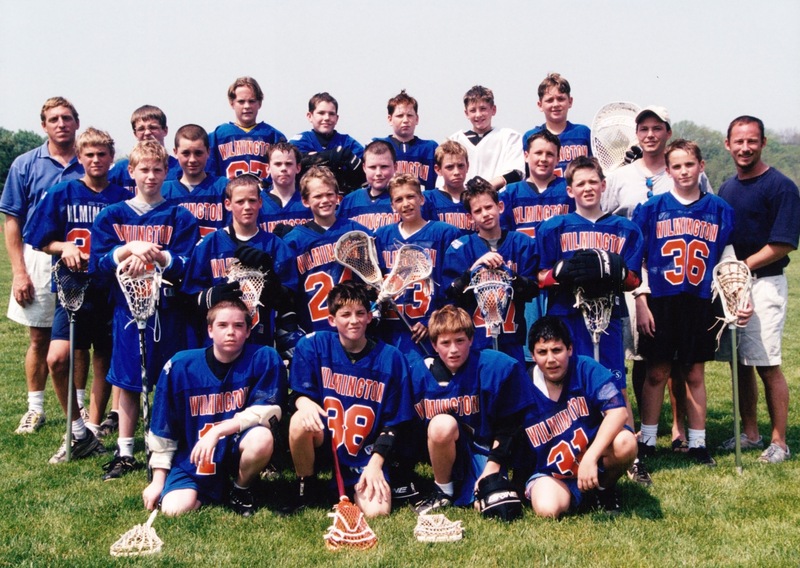 This particular team was primarily fifth graders and included Brad Albertson, Kendra Burawski, Mark DallePazze, Nick Hanes, Austin Howes, Gary Michalowski, Matt and Pat O’Brien, Chardy Scott and Eric Scotolati. Coaching the 3/4th graders were Fred Michels, Chuck Simpers, Mike Christopher and Allison Michels. One very cool thing that also happened in 1999. Mary Jane and I were inducted into the first class of the Delaware Lacrosse Hall of Fame. The 5/6th Grade Orange Wings were coached by John Avondolio, Lexi Gahagan and Billy Michels. Two 5/6th grade teams were fielded. The 6th grade Blue Wings were coached by John Avondolio, Lexi Gahaghan and Billy Michels. Kendra Burawski, in goal, Brad Albertson, Will Carey, Mark DallePazze, Nick Hanes, Austin Howes, Chris Livadas, Deane Mellor, Charlie Nutting, Chardy Scott, Scott Singer, Sam Titone, Peter Towe, Peter Williams and Cuffie Winkler played on this strong team. The 5/6th Orange Wings team was coached by Stu Tierney, Todd Lehman and John Nagowski. Clayton Albright, Beau Chatburn, Stephen Chehi, Tom Christopher, Blake Cruise, Zach Drexler, Pat Goggins and Ethan Timmons-Schiffman played on the Orange Wings. The youngest Wings were again coached by Fred Michels and daughter, Allison. Skip Metz and Rick Cobb guide a very strong A1 Orange Squad team. Technology! There was no looking back. Email was the only way to go ---- no more LAXLINE! Paul Mettler joined Rick and Skip to coach the top 8th graders this year. Many of these names will be noted later as the All-American and All-State honors foll in. 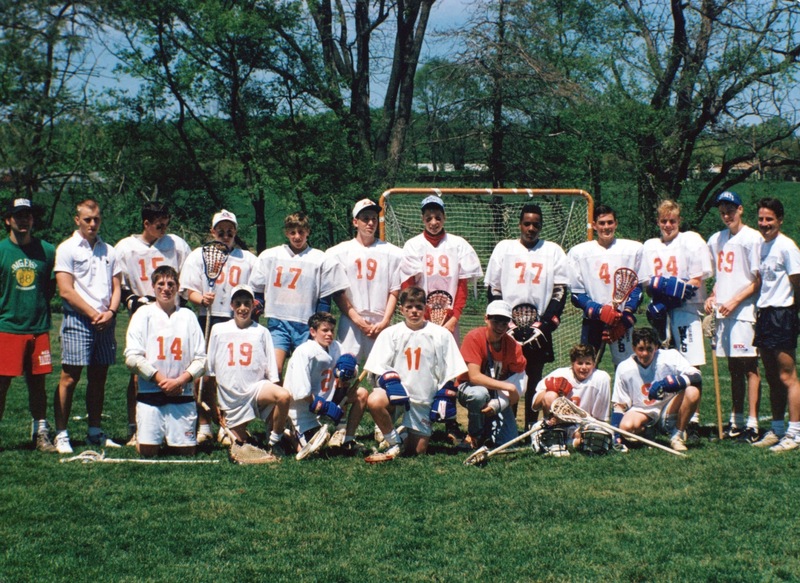 Playing on this Orange Squad were Pete Towe – in goal, of course, Matt Moyer, Nick Rossi, Scott Singer, Mike Zutz, Gary Michalowski, Jon Livadas, Nick Jacobs, Dan Green, Will Gahagan, ‘T’ Ferry, Neil Farrell and Ian Booz. Todd Lehman, Lexi Gahagan and David Foote, a 1990 Wilm Lax alum, coached the 7/8th Blue Squad. A third 7/8th grade team was coached by Fred and Ryan Michels. Matt Daley, West Mishaw and Kevin Walker were beginning 8th graders on this team. All three had successful high school careers, receiving All-State honors. Matt went on to play in college and even coach a Wings team in 2013 and 14. John Avondolio and Brian Miller coached the strong 6th grade Wings team. Neither had a son in the program, which made it particularly special. They lost in the first round of SEPYLA B play-offs this year. They learned a big lesson that day, as the team played a second half game. 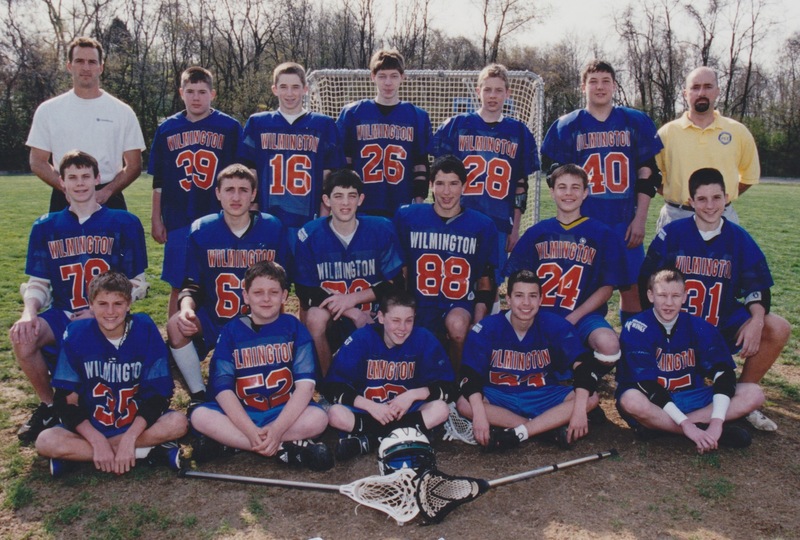 Two years later, in 2003, this team just missed the brass ring --- with a very dissappointing loss in the final 30 seconds to a strong Radnor team. Although they barely lost in that 2003 game, they had traveled a long way since their 2001 loss as 6th graders. The 5/6th Blue Wings team was coached by Stu Tierney. Stu was assisted by parents Clair Hayes and Mark Kluger. Mark and Clair were late registering their sons. Their ‘punishment’ was to help Stu with coaching. They added a new layer of humor to the program. Brooks Pierce and Mick Ferruci enthusiastically coached the 5/6th grade White Wings. Last but not least, is the 3/4th Pinball Program. Coaching this very big group of boys were Brad duPont, Omar McNeill, John Carey, George Beer and Andrew Layman. Omar and Andrew did not have sons in the program. After coaching for a few years, Omar retired, only to return a few years later, when his son Peyton was in the first grade. Andrew did the same, returning to coach his first grade son, Mason, in 2015! In January of 2001, I was honored as one of three national recipients of the Sporting Goods Manufacturers Association Heroes Award. In turn, I donated the funds from this award to the Jay Spilecki Scholarship Fund and to create an award in memory of a friend and former Wilmington Lacrosse parent, Chris Mellor. Chris passed away in 2000 after a year long battle with cancer. Cary, Kyle and Deanne Mellor played with Wilmington Lacrosse. Kyle and Deanne went on to play in college. *Bill Moran also received First Team All-State honors in 2001. Although Bill did not play with the Wings, he jumped in to coach a strong 7/8th grade team in 2013. Rick, Skip John Avondolio and Lexi Gahagan coached the 7/8th Orange Squad, that included Ian Booz, Clayton Albright, Will Carey, Beau Chatburn, Mark DallePazze, Zach Drexler, Grant Firestone, Will Gahagan, Chris Livadas, Greg Mackenzie and Pete Towe. The 7/8th Blue Squad was coached by Todd Lehman and the 7/8th White Squad was coached by Fred Michels, assisted by son Ryan and Ladd Martel. 5/6th Blue Wings were coached by Stu Tierney and Brian and John Miller. The Orange Wings were coached by Wings alum, John Wilkinson, and Herb Matter. Brooks Pierce and Brad Bobbitt coached the White Wings and the 3/4th Pinball players were coached by Eric Davis, John Carey, Mick Ferruci and Omar McNeill. 2002 saw another tragic death of another former Wings player. Phillip DeMesse, a senior at A.I. duPont High School, was a passenger in his best friend’s car when it hit a utility pole. Phillip lost his life and his best friend was paralyzed. A1 Orange Wings, coached by Rick Cobb, Skip Metz and John Avondolio. What a season! This was one of those years that I did not want to end. The 7/8th Orange Squad had a remarkable year. Each game was a nail biter. Overtimes and games more like ping pong matches — kept this spectator on the edge of my seat. We joked that we were giving parents their money’s worth. The boys slogged the mud in the pouring rain — somewhere in Buck’s County, to win the semi-final game vs the top SEPYLA northern div team. The following day, the mighty Orange Squad traveled to Wissahickon, losing in a tough fought match to a strong Radnor team in the last 30 seconds of the championship game. Rick and Skip with assistance from John Avondolio and Ladd Martel coached this special 2003 team of 7th and 8th graders. 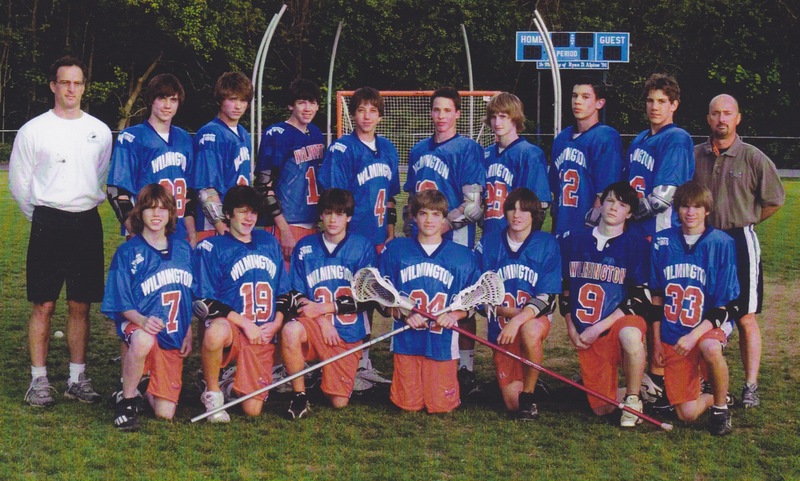 Clayton Albright, Stephen Chehi, Thomas Anderson, Tommy Christopher, Zach Drexler, Jeb Dunkelberger, Conor Hayes, Lock Jacobs, Chris Livadas, Thomas Martel, Deane Mellor, Michael Ryan, Jamie Seabrook, Ian Walsh and Kyle Wharton made up the core of this team. Happily for the Wings, Clayton Albright returned after playing and graduating from Bucknell, to coach in 2012. Todd Lehman, Mike Riley, Rick Adkins and Brad Bobbitt coached the 7/8th Blue Squad. Playing on the Blue were Mike Adkins, James Baldino, Will Barr, Chris Bobbitt, Bobby DeWees, Brien Jamison, Austin Mishaw, Jos O’Brien, Kevin Zufelt and Tyler Wolf. The 5/6th Blue Wings were coached by Stu Tierney, Brian Miller and Brooks Pierce. This was another strong team. Players included: Trip Ashley, Hunter Bolling, Hunter Bouchard, Preston Boyden, Christian Clay, John Croney, Evan DeDominicus, Nick DiSabatino, Joey Fragomele, Andrew Harrington, Max Huber, Connor Mishaw, Ben Keller, Jordan Miller, Drew Oidtman, Bucky Pierce, Stephen Towe, Bill Walker and James Strouss. Fred Michels, Andrew Layman and Ryan Michels coached the 5/6th Orange Wings and Brett Scarborough coached the 5/6th White Wings. The 3/4th graders were coached by John Carey, Omar McNeill, Mick Ferrucci, Chris Brooks, Eric Davis, Geo Beer, Tres Oglesby and Ken Rittenhouse. *2003 was the second year that Cam Howard received All-American and First Team All-State honors. Cam went on to play for UD, becoming one of their all time high scorers. Mick Ferruci and John Carey guided the 5/6th grade White Wings to a great season. Rick, Skip and John Avondolio continued to coach. Fred Moran joined them as an assistant. This was a learning year for the coaches after the huge successes in 2003. After many losses, the boys ended the season on a high note with a couple of good wins. Mike Adkins, Bobby DeWees and Conor Hayes all went on to play at the college level. 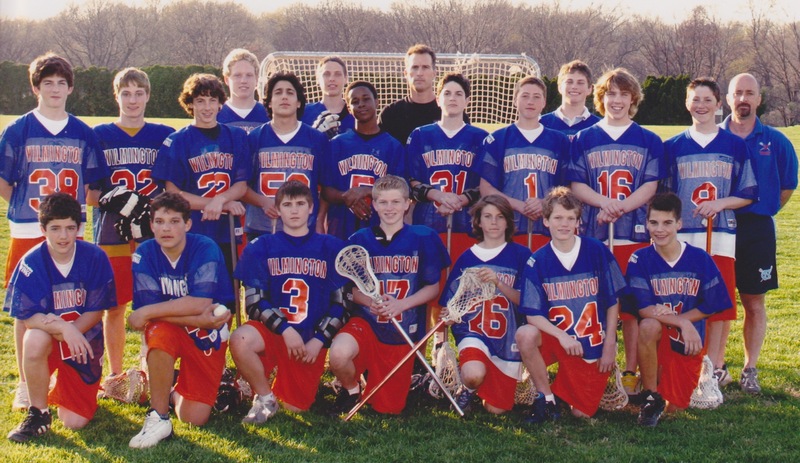 Other players on this 8th grade Orange Squad were James Baldino, Will Barr, Chris Bobbitt, Jeb Dunkelberger, Lock Jacobs, Connor and Austin Mishaw, Pat Moran, Ryan Mase, Jos O’Brien and Brien Jamison. Clint Walker and Mike Riley took the reins of the 7/8 Blue Squad and Fred Michels and David Millio coached the 7/8 White Squad. The 5/6th Blue Wings were coached by Stu Tierney, Brian Miller and Brooks Pierce. This team proved to be pretty strong, with several players being recognized on the 2010 All-State honor role. 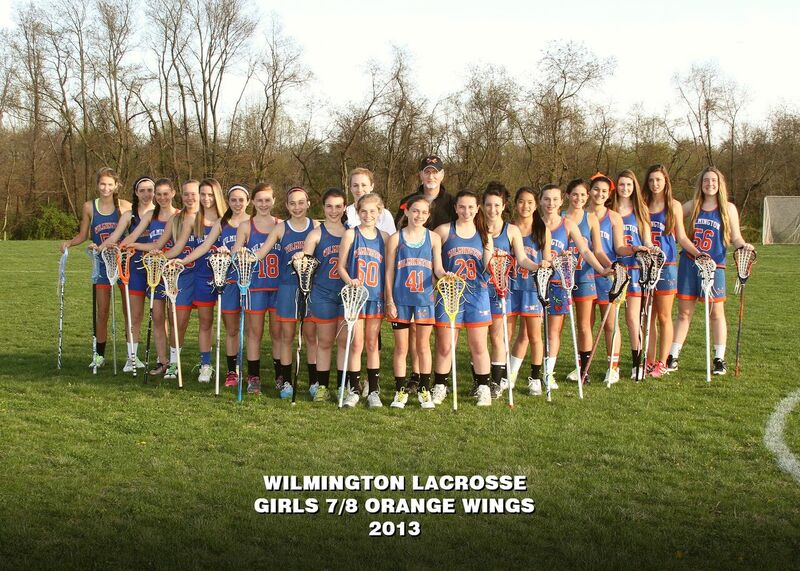 The 5/6th Orange Wings were coached by Ken Rittenhouse, Andrew Layman and Geo Beer. Mick Ferruci and John Carey coached the 5/6th White Wings. Omar McNeill, Eric Davis, Trey Oglesby, Chris Brooks and Bill Russell oversaw the 3/4th grade program. Bill Russell, Eric Davis and Chris Brooks join the 3/4th graders in a team photo. Skip, Rick and Johnney A continued coaching the 8th grade Orange Squad. Players included Evan DeDominicis, Joey Fragomele, Beau Jones, Connor Mishaw, Drew Oidtman, Evan Peoples, Andrew Sibert, Steve Towe, Dan Tryon, Bill Walker and James Strouss. Fred Michels and Mike Riley coached a solid 7/8 Blue Squad and Brett Scarborough coached the 7/8 White Squad. Stu Tierney coached the 6th grade Orange Wings, assisted by John Miller, Mick Ferruci and Ken Rittenhouse and Wings alum, Matt Fink, took over the coaching duties for the 5/6th Blue Wings. Coaching the 5/6th X and Y Wings teams were Michael Ebert, Andrew Layman, Geordie Mitchell and Chris Brooks. Eric Davis, Rob Grant, Omar McNeill, Ladd Martel, Trey Ogelsby, John Croney, Grier Wakefield and Bill Russell coached the bulging 3/4th graders. One special note: Eric Davis, Rob Grant, Omar McNeill, John Croney and Bill Russell continued to coach through 2015 (and hopefully longer). Skip Metz and Rick Cobb lead another strong 7/8th grade A1 Orange Squad. 2006 saw another strong team of eighth graders, coached by Rick and Skip: Trip Ashley, Hunter Bolling, Preston Boyden, Christian Clay, Phil Drexler, Jackson Keller, Ben Keller, Eric Kelley, Jake Graham, Andrew Michalowski, Ripley Nielsen, Bucky Pierce, Hunter Witmer, Brad Freeman and Nick DiSabatino all shined during their next four years of high school. Unfortunately Trip Ashley tore his meniscus during 8th grade evals and had to drop out. Trip went on to receive All-American and First Team All-State honors before a successful run on the UD Lacrosse team, graduating in 2014. Eric Davis and Mick Ferrucci coached the 7/8th A2 team. Mike Riley and Wings alum, Matt Fink coached the 7/8th A3 team. Stu Tierney continued to coach the 5/6th B1 team. The balance of the four 5/6th grade teams were coached by Mike Ebert, Andrew Layman, Geordie Mitchell, Bill Russell and Rob Grant. Coaching the 3/4th grade teams were Chris Brooks, Dave Beatson, Fred Michels, Bob Watson, John Croney, Fred Freibott and Ladd Martel. Looking at all of the names of the Wings roster of players, from 3rd grade to 8th grade, I am stunned by how many will go on to become real contributors for their high school programs --- and then continue to play in college. I wish I could list them all! Fred Freibott, Bill Russell and Conor Hayes with the 5/6th Grade Blue Wings. John Avondolio returned to assist Rick and Skip this year. Standout players included Austin Beer, Greg Cody, Colin Ebert, Brannock Furey, Connor Freeborn, Chris Ambrogi, Zach Johnson, Shane McCloskey, Sam Mester, Joe Rittenhouse, Stephen Tryon, and Carter Seuffert. The 7/8th A2 team was coached by Matt King and Ken Rittenhouse. David Millilo and Fred Michels coached the 7/8th A3 team. 5/6th B1 Orange Wings coach, Stu Tierney, was assisted by Andrew Layman and Michael Ebert. Fred Freibott, Bill Freeborn and Bill Russell coached the B2 team. John Wigton coached a B3 team with Bob Watson and John Croney. Coaching the 3/4th graders were Fred Michels, Dave Beatson, Mark Nikolich, Tom Desperito, Chris Baldi and Brad duPont. Looking at the 8th grade Orange Squad roster, my eyes travel to the bottom of the roster to the two excellent goalies listed. Max Davis and Davis Russell are 7th graders and will continue on the Orange Squad the following year, dividing the goalkeeper duties. It is rare to have two such excellent goalies on one team! Besides Max and Davis, there were a number of other standouts on this team: Michael Armstrong, David Beatson, Ross Bolling, Danny Budd, Alex Cesna, Sumner Crosby, Brett McCone, Brian Murphy and last but not least, Michael Petit. This strong team was coached by Rick Cobb, Skip Metz and John Avondolio. 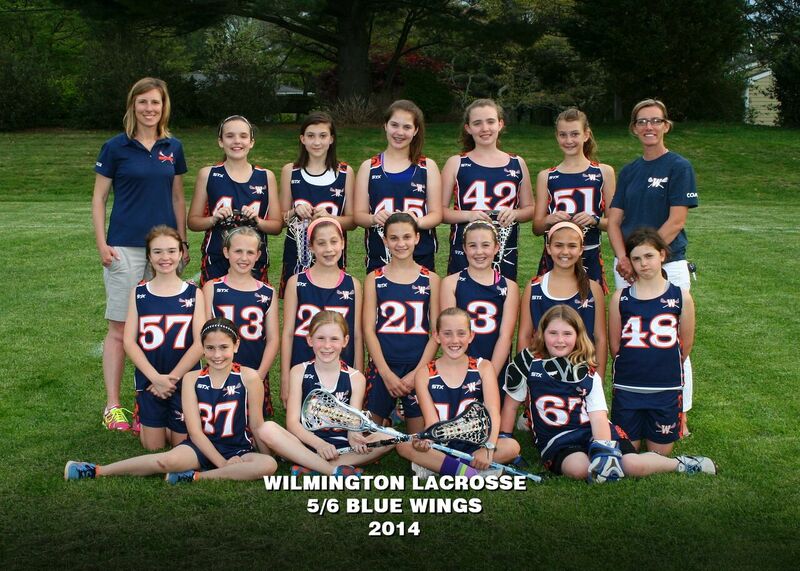 The 5/6th Blue Wings were coached by Bob Watson, Tom Desperito and Chris Baldi. Fred Michels and Chris Brooks coached the 5/6th White Wings. The third and fourth graders were coached by Mark Nikolich, Halsey Spruance, Matt Swanson, Chris Smeader, Mike Riley and Tom Desperito. This A1 8th grade Orange squad was again coached by the Cobb/Metz/Avondolio team. Playing on this athletic team were: Chase Cowan, Geoffrey Grant, Will Mette, Graham Seuffert, Troy Reeder, Jimmy Andrews, Patrick Boyde, Mitch Mengden, Alex and Nick Giacco, Chris Palmer, Jackson Banbury, Spencer and Reed Boyden, Walker Nielsen, Brian O’Neill, George Salmons and Chris Daley. Max Davis and Davis Russell continued in the goal. Fred Freibott, Bob Watson and Ladd Martel coached the A2 7th grade Blue squad. Stu Tierney coached the B1 6th grade Orange Wings, assisted by John Croney, Bill Freeborn and Chris Baldi. The B2 Blue Wings were coached by Mark Nikolich and Pat Dolan. Fred Michels and Chip Rankin coached the B2 White Wings. The fourth graders were coached by Halsey Spruance, Rob Lake, Matt Swanson, Dan Fink and Sam Hobbs. The third graders were coached by Tom Desperito, Chris Smeader, Mike Riley and John Wood. The second graders were coached by Omar McNeill, Rand Singer and Mark Parsells. My records for the girls are incomplete for 2009. Coaching the two 7/8th grade teams were Jennifer Abramcyzk, Nina Winfield, Stacy Gatti, Amy Harper and Martha Tschantz. Coaching the 5/6th grade teams were Beth Anderson, Ann Chilton, Pat Gugerty, John Wakefield, Mark Parsells, Lisa Applegate, Matt Swanson, Julie McGinnis, John Wood and Bret Jones. John Avondolio, Rick Cobb, John and Chris Livadas, Skip Metz and me at the Alumni Game. 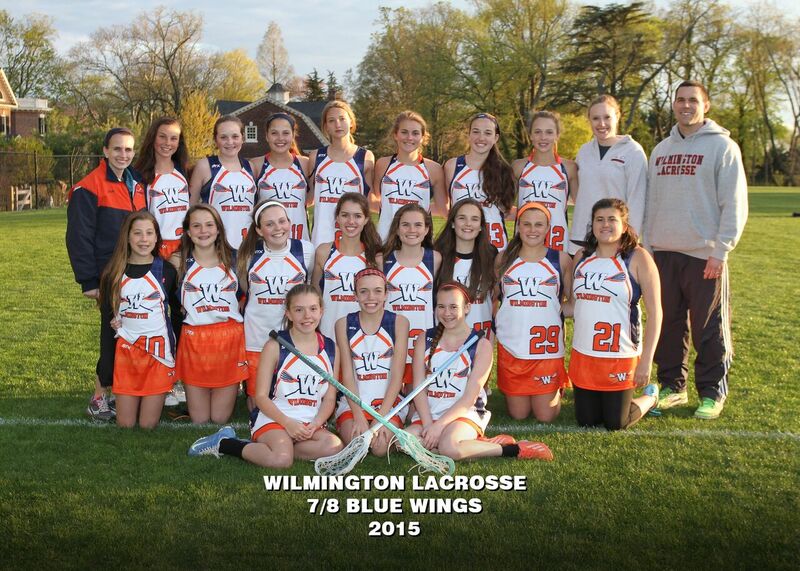 The Wilmington Lacrosse Girls officially joined the Wilmington Lacrosse Boys in 2010. Wiz Applegate, the driving force of the Girls Program, retired. It took another year before we were able to begin capturing records for the girls teams--- Technology and a new website provider! Once again, Coaches Cobb, Metz and Avondolio directed a strong A1 Orange Squad of 7/8th graders. Assisting were Bill Freeborn, Ladd Martel and Bob Watson. Players included: Andrew Petit, Fred Freibott, Rhett Schweitzer, A.J. Witherall, Sam Murphy, Josh Croney, Ryan and Nathan Beatson, Peter Ahl, Ian Harrington, Brian O’Neill, Troy Reader, Ben Watson, Ben Manning, Grier Wakefield, Donovan Sweeney, Chris Martel, Trevor McCormick, Nolan Shannon, and Will Shegog. Chris Baldi, assisted by Chip Rankin, coached the A2 Blue Squad. Stu Tierney, assisted by Anthony Brazen, Tom Desperito and Mark Nickolich coached the 5/6th B1 Orange Wings. The 5/6th Blue Wings team was coached by Rob Lake assisted by Dan Fink and Halsey Spruance. Brendan McCormick and John Wigton coached the two B3 three teams. Chris Smeader, Eric Davis, Rob Grant, Dave Lubin, Omar McNeill, Mark Parsells and John Wood coached the 3/4th graders and the 2nd graders were coached by Mark Hodgson, Rand Singer and Steve Wilkinson. 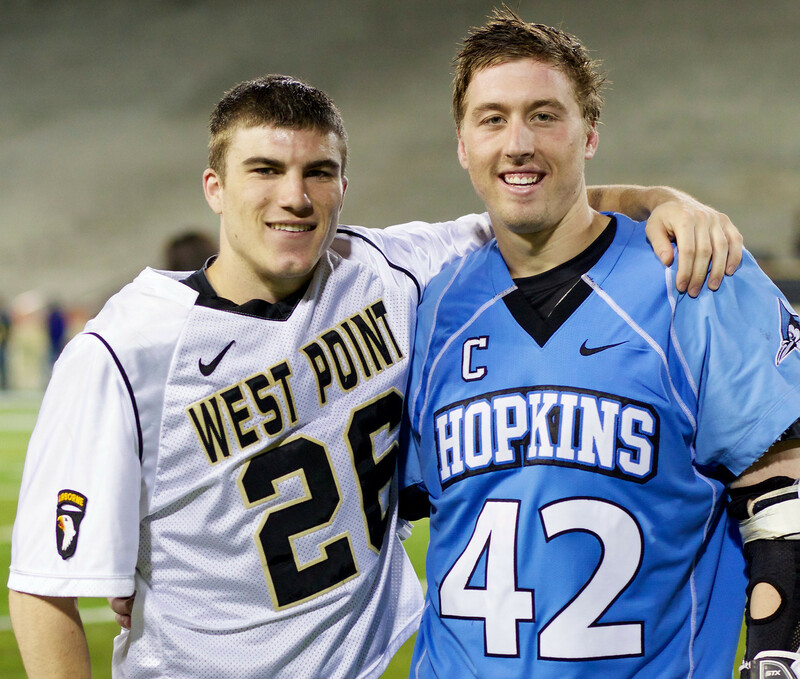 Wings Alums Conor Hayes and Kyle Wharton. Both the Wings girls and boys programs continued to grow in numbers and strength. A very strong A1 team, again coached by Rick Cobb and Skip Metz, included many names who would be recognized later during their high school years: Christian Baldi, Sam Fink, Connor Freeborn, Kyle McCarthy, Michael Sanzone, Rhett Schweitzer, Josh Croney, Andrew Pettit, A.J. Witherall Patrick Pearce, and Jacob Budd. Mark Kreshock took the lead of the A2 Blue Squad this year. 8th graders Connor and Colin Michels played on this team and would be recognized as Acedemic All-Americans in 2015. Stu Tierney again directed the 5/6th B1 Orange Wings which would prove to be a particularly strong team of 8th graders in 2013. Other 5/6th grade coaches were Brendan McCormick, Chris Smeader, Mike Riley, Halsey Spruance, Joe Szczerba, Mike Spink and Dan Fink. Brian Miller oversaw the 2/4th grade teams. Other coaches were Mike Murphy, Seth Ruoss, Mark Parsells, Rob Grant, Eric Davis, Rich Schmidt, Ross Rupert, Rafael Zahralddin and Scott Salerni. Eighth graders playing on the 7/8th grade girls team this year were Emily Bradford, Leila Grace, Bryn Gorelick, Alexis Malberg, Kelsey McGarry, Taylor Pelly, Emma Richmond, Virginia Rodowski, and Meghan Ruoff. Coaches for the 5/6th grade girls teams were Jennifer Abramczyk, Chris Baldi, Pete Crivelli, and Andy Podolsky. Scott Baylor, Liz Christopher, Rob Julian, Carey McCoy, Andy Podolsky, and Matt Swanson coached the 3/4th grade teams. Ruth Hiller, Liz McCormick and Lecia McDermott with their 3/4th Eric Davis and Rob Grant with the 5/6th Grade Silver Wings. This year was a special one. Our 8th grade Orange Squad went an inch away from winning the SEPYLA championship. It would have been a sweet way to finish the over twenty year run of coaches Cobb and Metz. Cornell player and Wings alum, Chris Livadas, assisted the dynamic Cobb/Metz duo, with their swan song run. Playing on this 8th grade Orange Squad were Mick Togo, Luke Desperito, RJ Fink, Luke Bianchino, Cory Mengden, Garrett Cannon, Chase Truitt, Colby Reeder, Beau Yerger, Austin Edge, Patrick Lyons, Russell Applegate, Grayson Cowan, Sean Esmond, Paul Wolfe, Griffin Salvo, Hughie Plumb, Kevin Brown and Justin Carroll. Wings alum, Clayton Albright and Ryan Dunn covered the 7/8th grade Blue Squad. And, Matt Heim and John Croney coached the 7/8th White Squad. Stu Tierney lead the very strong B1 Orange Wings to a good season, losing in the SEPYLA semi-finals. The core of this team would just miss winning the SEPYLA A1 finals, two years later, in 2014. Brendan McCormick, assisted by Mike Spink and Joe Szcerba coached the B2 boys, while Rob Grant, Eric Davis, Will Mette, Mark Parsells, Brandon Ignacio and Alex Cesna coached the two B3 teams. Seth Ruoss and Mike Murphy coached the 3/4th C Team. Brian Miller oversaw the 60 3/4th In-House teams. Coaches were Rafael Zahralddin, Jim Saylor, Jake Rashkind, Jason Danner, Bill Madison, Steve Brooks and Ross Rupert. Coaching the 1/2nd Grade In-House teams were Chris Buccini, Ted Brackin, Chuck Simpers, Herb Matter, Mike Burke, Dan Bachtle, and Eric Sutty. The Girls program ramped up their level of competition with Jennifer Conaty, Kaitlin Donovan and Sally Hennessy coaching the 7/8th Grade team. Playing on this team were Abby Manning, Kennedy Murphy, Presley Conaty, Elizabeth deBruin, Alice Flinn, Mary Hennessy, Mary Kate Kane, Madeline Marconi, Sydney Murphy, Eric Schuessler, Jessica Zbranak, Samantha Kidwell, Alexandra Kochie, Louise Conaty, Katherin Flinn, Shelby Gold, Lilly Gorelick, Shannon Kelly, Kate Walker, Abigail Podolski, Olivia Saccomandi and Sadie Proud. Coaching the three 5/6th grade teams were Andy Podolsky, Chris Baldi, Courtney Dowell, Pete Crivelli and Jennifer Abramczyk. The three 3/4th grade teams were coached by Rob and Addie Julian, Liz McCormick, Ruth Hiller, Lecia McDermott, Liz Christopher and Scott Bailer. Coach Stu Tierney took over the reins of the A1 Orange Squad. He had big shoes to fill! Ryan Dunn and Drew Mearns, a new coach for us, jumped in to assist Stu in his inaugural year coaching the A1 Wings. Again the boys almost made it. They lost in the SEPYLA semi-finals to the team that went on to win the championship. It was another good year for the 7/8th A1 Orange Squad. Playing on this team were RJ Fink, Blaine Yerger, Jamie and Brett Hobbs, Ryan and Matt McGarry, Jamie Spruance, Mikey Drake, Taylor Witherell, Brendan Kuzminski, Nick Cradler, Jimmy Blaszkow, Dean Colman, John Churchwell, Mickey Henry, Andrew Jaworski, Tyler Swift, and Kellen Sweeney. Chris Smeader, Bill Moran and Mike Riley coached the A2 Blue Squad. Former 1990 Wings player, Jeff Jordan and John Croney coached the A3 White Squad and Brendan McCormick, Mark Seiffert, Joe Szczerba and Mike Spink coached the A3 Silver Squad. 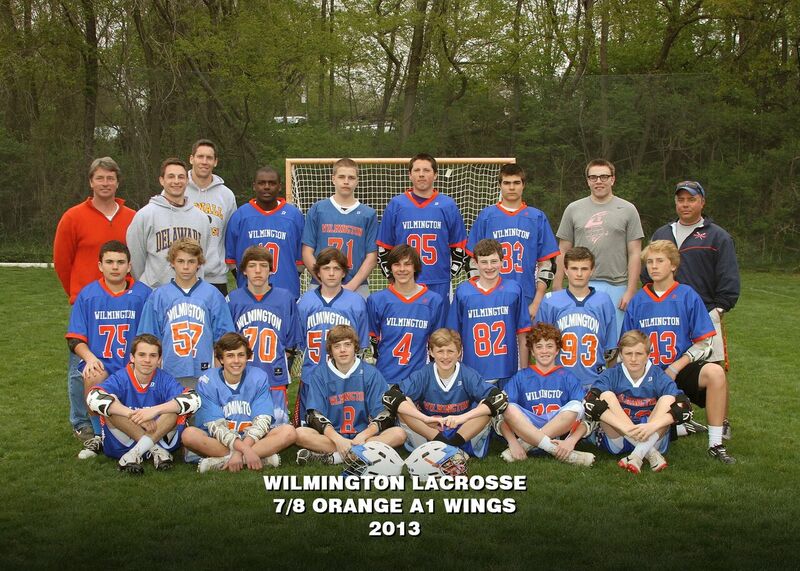 The B1 Orange Wings were coached by Clayton Albright, Omar McNeill, Rich Schmidt and Will Mette. Trae Humphries, assisted by Rod Ward, Seth Ruoss and Rodger Krass coached the B2 team. The two B3 teams were coached by Matt Daley, Rob Grant, Eric Davis, Kyle Cathers and Mark Parsells. The 3/4th C team was coached by Mike Murphy, Seth Ruoss, Rafael Zahralddin, Neil Hickey and Ross Rupert. Brian Miller oversaw the 65 3/4th graders. Coaches included Josh Walther, Bill Madison, Dan Bachtle, Eric Sutty, Herb Matter, Jason Danner, Mike McDermott, Jim Saylor and Steve Brooks. Pat Dolan oversaw the 1/2nd grade program. Also coaching at this level were Ted Bracken, Mike Burke, Pete Duncan, Lee Dotson, Jay Mandl, Skip Metz, Mark Kreshock, Mike Murphy, Jason Nace, Scott Salerni, Jim Saylor and Eric Sutty. Eighth graders playing on the 7/8th grade girls team were Sadie Proud, Alexa Rhodunda, Shannon Kelly, Emma Penrod, Louise Conaty, Lilly Gorelick, Shelby Gold, Perry Martin and Katherine Flinn. Andy Podolsky, Rob Julian, Rory Maher, Lecia McDermott, and Carey McCoy coached the 5/6th graders. 3/4th grade coaches were Maureen Murphy, Jason Nace, Jill Zehner, Liz McCormick, Chris Buccini, Pete Crivelli, Andy Witherall, Ruth Hiller, Bryan Griffin and Scott Bailer. 2014 was the 25th season for the Wings. 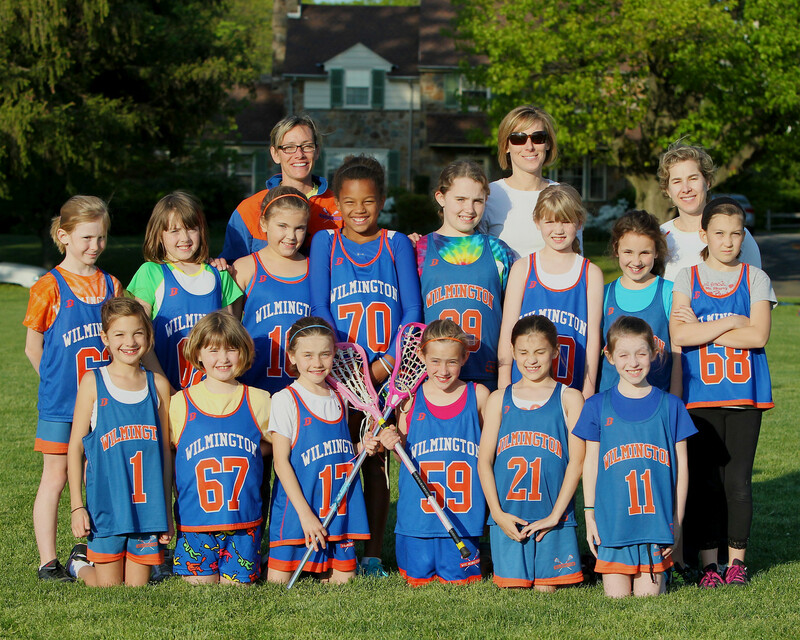 It was also our last season as members of SEPYLA, the Southeastern PA Youth Lacrosse Assoc. The 8th Grade A1 Orange Squad, coached by Stu Tierney and Drew Mearns took the team to the finals, when they were defeated in a very competitive game. It was a great final run, in spite of the disappointing loss. 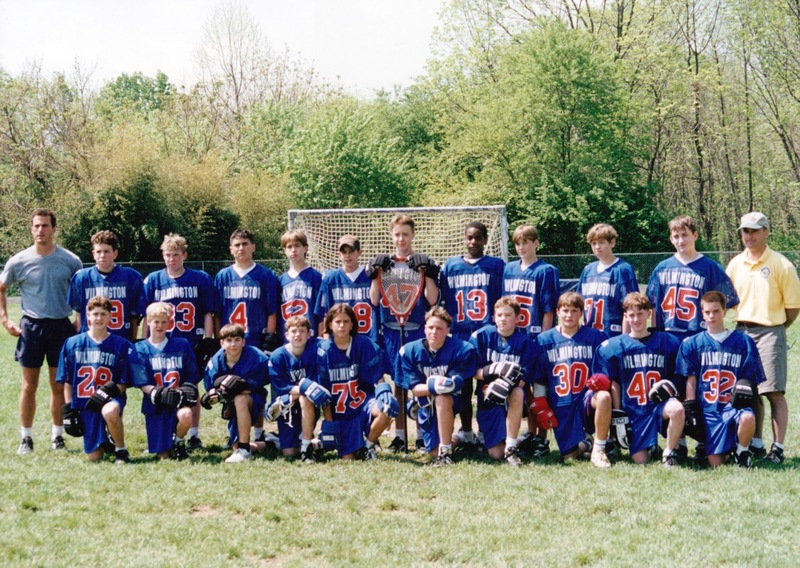 Playing on this squad were Peyton McNeill, Sean Colman, Tom Bloom, Chad Cannon, Aiden Riley, Jack Okoniewski, Eric Pincus, River Harper, Connor Smeader, Blaine Yerger, Carson Salvo, Brett Hobbs and Patrick Drake. Brendan McCormick lead the A2 Blue Squad with assistance from Rich Schmidt, Mike Spink and Joe Szczerba. Bill Moran and John Croney coached the A3 White Squad. Clayton Albright coached the 5/6th B1 Orange with assistance from Mike Murphy. Matt Daley coached B2 Blue. Bill Madison, Ross Rupert, Rob Grant, Greg MacKenzie and Kyle Cathers coached the two 5/6th B3 teams. Seth Ruoss coached the 3/4th C team, assisted by Mike Burke, Josh Walther, Pete Duncan and Herb Matter. Once again, Brian Miller oversaw the 3/4th Grade Boys In-House teams. Also coaching were Steve Lucey, Jay Mandl, Skip Metz, Lee Dotson, Mike McDermott and Eric Sutty. Pat Dolan oversaw the 1/2nd grade In-House teams. 1/2nd coaches were Darren Mahoney, Mike Murphy, Lee Dotson, Matt Geraghty, Ed Swiatek, Shawn Williams, Todd Danner, Kyler Kreshock, Jack Clough, Mike McDermott and Jim Saylor. The 7/8th Grade Girls A squad was coached by Chris Baldi and Andy Podolski. The B squad was coached by Katie Bowers and CC Zonino. Eighth graders playing in 2014 were: Olivia Baldi, Jessica Principe, Lizzie Kane, Annika Sernyak, Minnie Proud, Freda Callie, Valerie Cradler, Ella Catterton, Landon Reese, Carly Truitt, Sydney Yanick, Claire Crivelli, Grace DiGiovanni and Elizabeth Hennessy. The 5/6th Girls teams were coached by Liz McCormick, Ruth Hiller, Pete Crivelli, Scott Baylor, Andy Witherall, Lecia McDermott, Chris Buccini and Rob Julian. The 3/4th Girls were coached by Henrietta Mahoney, Jason Nace, Scott Salerni, Lisa Schmidt, Eric Brinsfield, Rory Maher, Barbara Colasante and Staci Gatti. 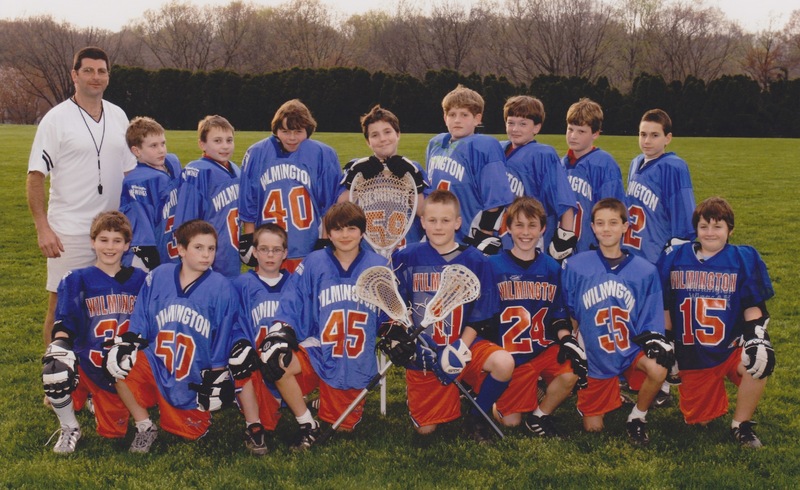 2015 saw the Wilmington Lacrosse boys join the Chester County Lacrosse League. The girls have played Chester County teams for a number of years. CCLA proved to be very competitive for the Wings boys teams. 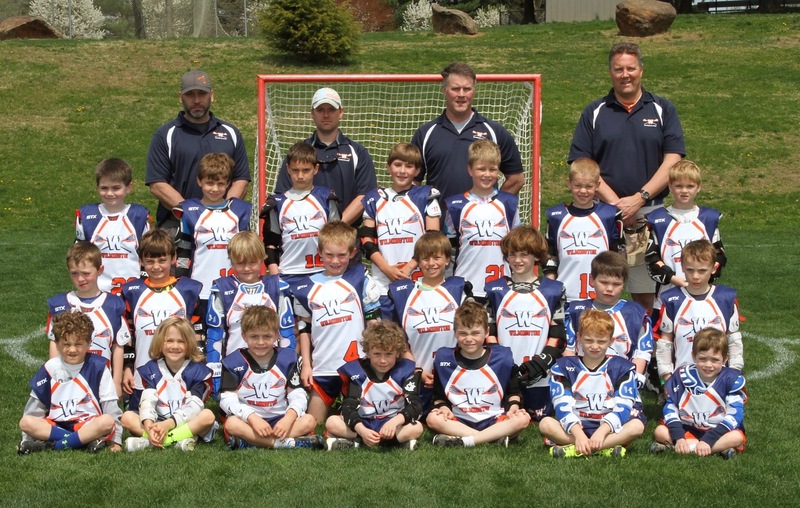 The boys moved from a grade based program to an age based program, following US Lacrosse guidelines. CCLA also offered more game opportunities for the U7 and U9 boys with playdays. Coaching the Girls 7/8 A team were Rob Julian, Lecia McDermott, and Andy Podolsky. Playing on this team were: Katie Bowers, CC Zonino, and Rory Maher coached the 7/8 B team. Both of these teams saw increased skill, competiveness and success as the girls program continued to strengthen. Eigth graders playing on these two teams were: Lauren Ross, Graham Chitty, Riley DeBaecke, Tully Liu, Jane Lyons, Meghan Reilly, Cecillia Krienen, Maggie Podolsky, Kelsey Pogonyi, Caroline Bollinger, Alexander Riley, Melissa Duko, Ally Ewing, Cleo Troy, Lilliana Bifferato, Maggie Rice, Alexandra Zeller, Brigid Monahan, Cecilia Krienen, Jordan Bramble, Sophia Gioffre, Shea Sweeney and Elizabeth McCoy. The four 5/6th grade teams were coached by Liz McCormick, Kallie McCormick, Scott Bailer, Ruth Hiller, Maureen Murphy, Bryan Griffin, Jill Zehner, Jason Nace, David Millilo, Chris Buccini, Pete Crivelli, and Andy Witherall. The three 3/4th grade teams were coached by Henri Mahoney, Lindsay McConnel, Lisa Schmidt, Barbara Colasante, Stacy Gatti, Eric Brinsfield, Nicill Keeney, Rori Maher, Scott Salerni and David Qualls. Both U15 Boys teams had very good and competitive seasons in this inaugural year with the Chester County league. U15 A was coached by Brendan McCormick, assisted by David deBruin and Jim Kidwell. First year coaches Josh Maisel and Jonathan Walker, assisted by veteran coach John Croney led the U15B team to an ‘almost’ undefeated season, when they were knocked out in the play-offs by a strong Conestoga team. Stu Tierney, Drew Mearns and Raphael Zahralddin coached the U13A boys. Clayton Albright, assisted by Andy Hess and Scott Salerni coached the U13 B team. The two U13 C teams were coached by Ernest Higgenhotham, Mark Love and Bill Madison and veteran coaches Rob Grant, Eric Davis and Bob Watson. 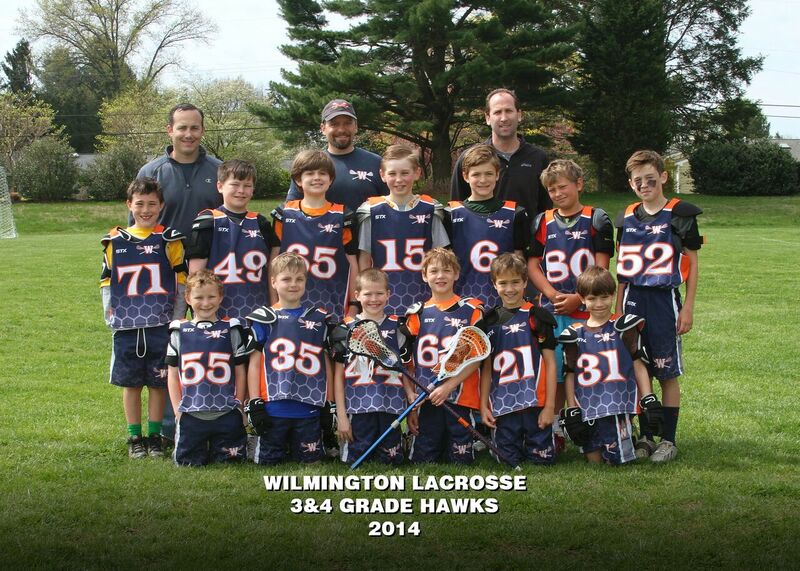 The U11 A boys were coached by Seth Ruoss, assisted by Mike Burke, Michael McDermott, Brian Miller and Josh Walther. 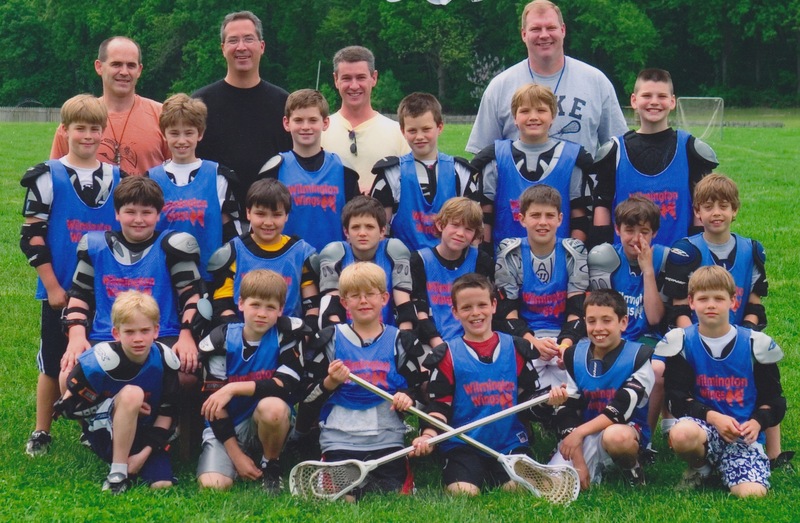 The two U11 B teams were coached by Skip Metz and Jay Mandl and Todd Danner, Lee Dotson, Jason Mase and Dan Bachtle. Jamie Mosberg dusted off his coaching hat and coached the U11 C team assisted by Jeff Mohr and Rick Thomas. Pat Dolan oversaw the sixty U9 boys. U9 coaches were Rob Buccini, Michael McDermott, Tom Nagle, Jim Saylor, Eric Sutty, Mike Murphy, Rick Cobb, Michael Catania, Darren Mahoney, Shawn Williams, Matthew Geraghty, Matthew Astfalk and Kevin Grubb. Booth Farwell and Andrew Layman oversaw the U7 boys. They were assisted by Chris Haggerty, Eric Brinsfield and Matt Middleton. This was our biggest season yet! 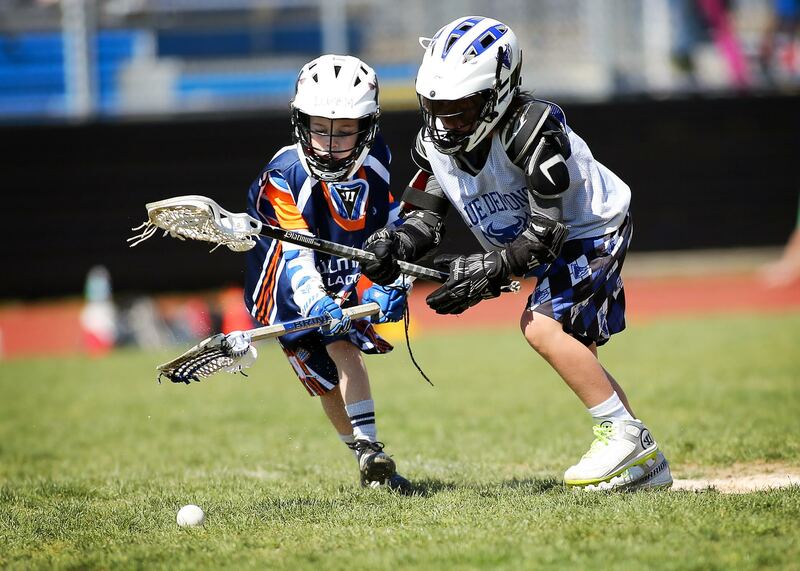 With over 450 participants both new and returning, we saw some of the best lacrosse to date. It is always encouraging to watch our players grow as athletes, teammates, sportsmen, and community members. We could not have pulled off this season without the help and support from all our wonderful and dedicated coaches and our supportive families. As the program continues to grow we are challenged to share more skills and knowledge of the game, but as always the kids and coaches were up for the challenge and succeeded yet again.